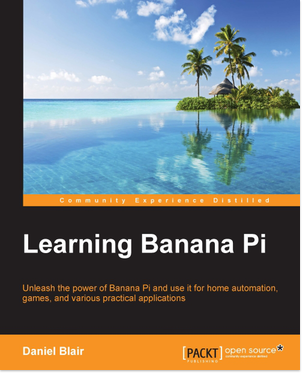 Learning Banana Pi – New Book available! A few month ago I’ve been invited by PACKT publishing to review a book about the Banana Pi. This book is for anyone who wants to explore Banana Pi and get started building projects on their own using it. No prior experience of working with single board computers is required. This book will take you from opening your Banana Pi’s box for the first time all the way to working with hardware and code. The book is available from PACKT as ebook and paperback.